External grade mirror, galvanised mild steel, stainless steel and fixings. 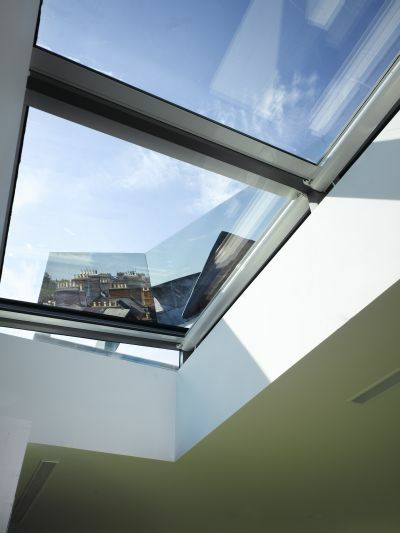 A structure on the roof above a skylight in a library supports two mirrors which are angled to reflect the surrounding roofscape. Commissioned by Dublin Dental University Hospital, Trinity College Dublin, for McCullough Mulvin architects conversion of, and additions to, their existing buildings. Dublin Dental University Hospital, Trinity College, Dublin. The work is sited on the roof of this building, behind the pointed facade element.